While visiting the Enlightenment Gallery at the British Museum we noticed that they had a mermaid on display. 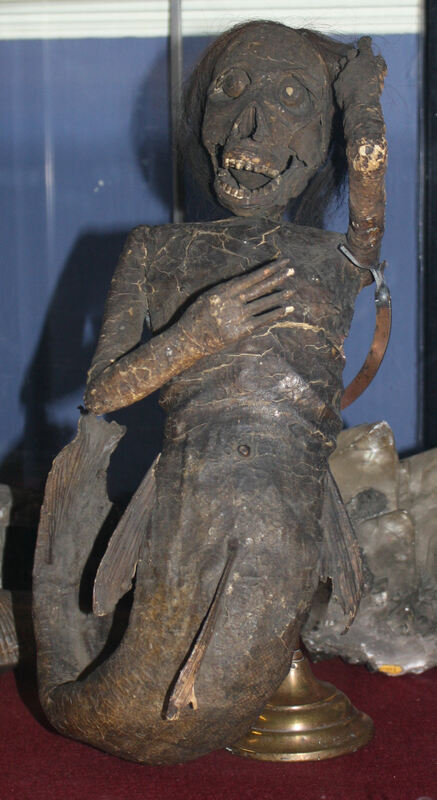 These are often called ‘Monkey-fish mermaids’ or ‘Feejee’ mermaids’ and look mummified. The story goes that they are made from the torso of a monkey and the tail of a fish. They were brought back from the Far East by sailors and often displayed by showmen who would charge punters to see a real genuine mermaid. Buxton Museum and Art Gallery has one of these creatures. She is usually on display in the Georgian Room, however for the last month she’s been promoted to Gallery 1 where she has been residing with a merman on loan from the Horniman Museum. Both of them originally came from the Wellcome Collection so they have been reunited – until the 13 May, when the merman will be taken back down to London. Anita Hollinshead (Enlightenment! board member and Museum Development Officer) started the ball rolling for the loan when she began to research the Buxton mermaid as part of her Conservation MA. 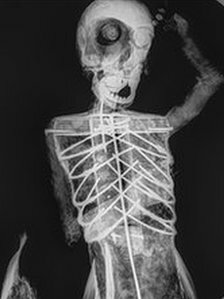 She took the Buxton mermaid to the forensic department at Lincoln University where she was prodded, photographed and X rayed (the mermaid, not Anita). The results showed the Buxton mermaid contained no monkey and in fact no bone at all. Instead she has a wooden and wire frame which has fish skin stretched over the tale. The only bone is her teeth which have been carved, and her long flowing locks are human hair. Her origin and age is still unknown but the best guess is that she was made in Japan for the export market – she doesn’t look like the traditional Japanese mermaids and has a very Western look and pose. 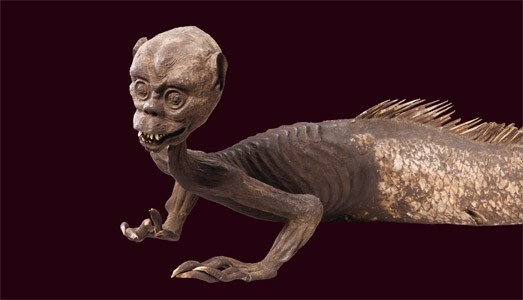 On 17th April 2012 Pa0lo Viscardi (curator at the Horniman Museum) and Anita gave a talk about the merpeople. It was a gallop through the inner world of the mermaids – their world-wide cultural significance (ever noticed the Starbucks logo? ), their provenance, construction, design and collectors. Did you know that Christopher Columbus reported seeing mermaids in 1493? Or that in 1739 a group of sailors caught and ate some mermaids – apparently they tasted like veal…..
Pa0lo and Anita are still trying to track down the provenance of the Buxton Mermaid; it is likely that Henry Wellcome bought her from an auction so hopefully the auction catalogue will turn up. The Mermaid and Merman are on display at Buxton Museum and Art Gallery until 13 May. The loan of the merman is part of the Horniman’s ‘Object in focus’ programme.